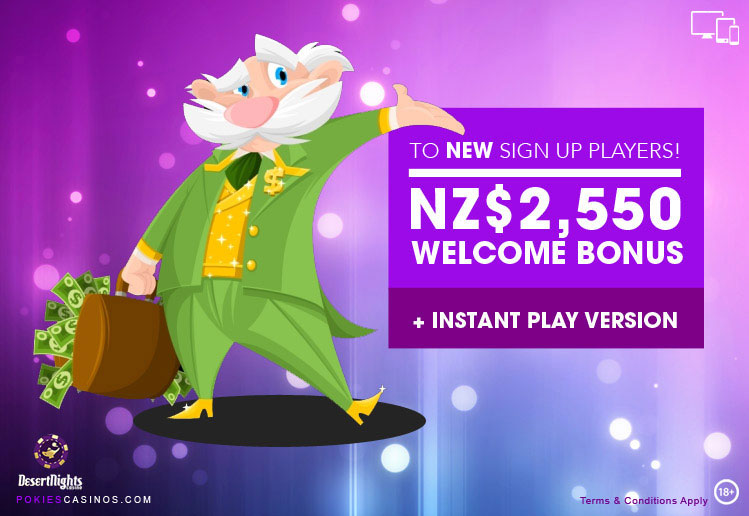 NZ$10 Free No Deposit Bonus plus up to NZ$2500 in bonus cash. Desert Nights Casino was established in 2010, is operated by Deck Media Group and the games are powered by Rival Gaming. The Casino has an elegant and sophisticated Arabian theme which boasts realistic games and exciting bonuses. Desert Nights has a Comp points and VIP programme. Receive 1 Comp point for every $1 bet which can be exchanged for cash back. 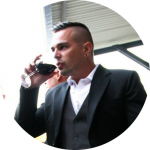 The VIP program has 3 tiers – Bronze, Silver and Gold where members can get extra comp points, exclusive free play on new games, faster cash outs and personalized VIP services. Desert Nights is also available on mobile or tablet devices which is quick, fun and easy-to-use! Most mobile devices are supported. Just scan the QR Code to play at the mobile casino. Their customer care team is available 24/7 to answer any questions and offer assistance with accounts, payment options, bonuses/promotions. Desert Nights Casino is licensed by the Curacao Gaming Commission. 3 Reel pokies with smaller prizes to games with big jackpots and fun bonus rounds. There is also a choice of classic table games such as Blackjack, Baccarat, Craps, Roulette and Pai Gow Poker. Video poker is well represented with Aces & Faces, Jacks or Better, Deuces Wild, Double Joker and Joker Poker. Keno and virtual Scratch cards. Crack the jackpot on one of the favourite pokies featuring huge jackpots such as Major Moolah, Money Magic, One Million Reels BC and Strike Gold. Create an account by completing the Desert Nights Sign-Up form with your existing and valid credentials. Once logged in, visit the ‘Cashier’ to redeem coupons, make a deposit and play! Description: Rival Gaming’s Chariots of Fire 5 Reel, 25 Payline pokie with Expanding Wilds, Free Spins and fantastic Bonus features. Journey back to the heady days of the Roman Empire where well-trained and armed Roman soldiers conquered Southern Europe, North Africa and more. Win up to 8 Free Spins with a 2x Multiplier or earn 2 Victory Spins in the Roman Victory bonus round. Enjoy the narrative and variety of well illustrated symbols with a fast pace of blazing horses and powerful chariots charging across the screen!